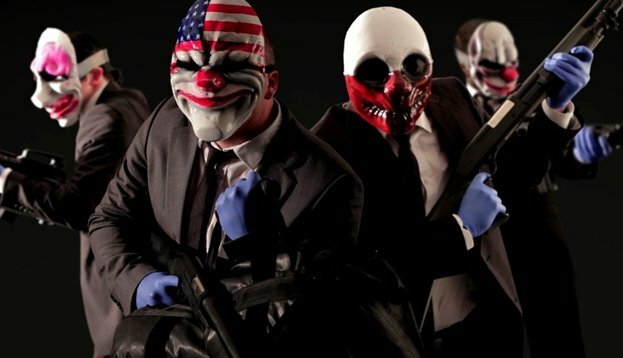 Payday 2, the sequel to the co-op bank heist simulator released in 2011, will be arriving in stores this August, and the pre-order bonuses for all versions of the game have finally been revealed. Pre-ordering the game for consoles, will come at a price of £29.99, and grant you the “Lootbag” DLC pack which includes a red-dot-sight for rifles and shotguns, some in-game cash, an exclusive skull mask, a black and red mask, and an “I Love Overkill” mask. Two versions can be pre-ordered through Steam fro PC. The regular version will come at a price of $29.99/£24.99, and include the Lootbag DLC pack. The “Career Criminal Edition” will include the previously mentioned pack, along with the soundtrack, two beta keys, the Crime.net deal which gives you discounts on items purchased through Crime.net, map blueprints, and “Bain’s Guide to the Criminal Underworld”. This version will come at a price of $49.99/£29.99.